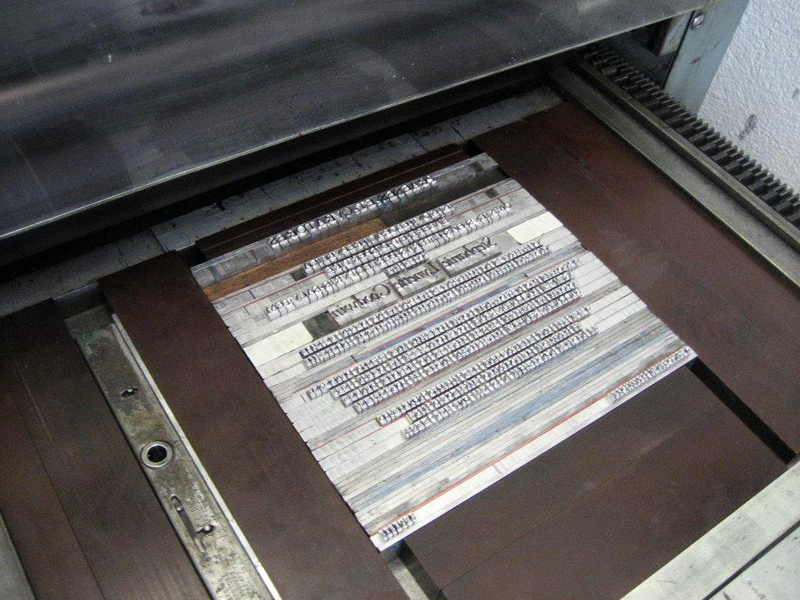 The presses are busy as ever during this diploma season! 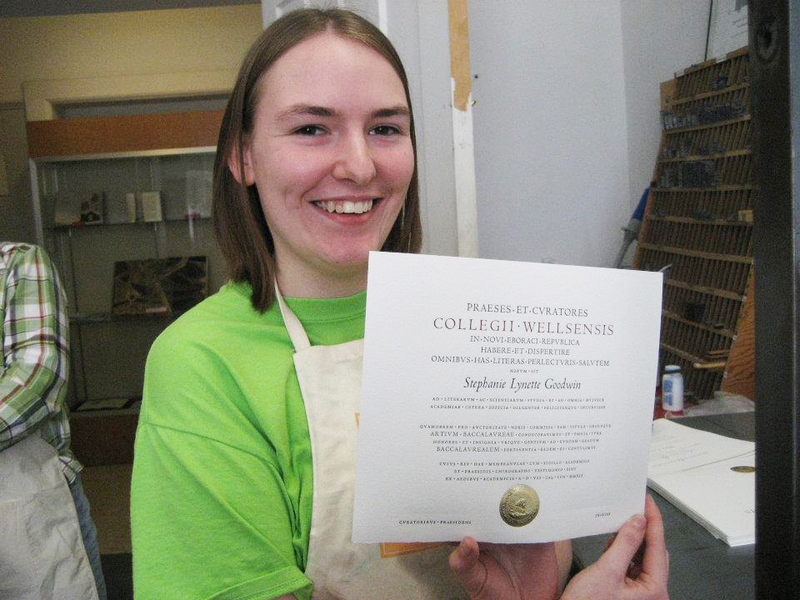 At the center we letterpress print each graduating senior’s diploma by hand. It’s a lot of work but it means that our diplomas are the most elegant around. Type is set for Stephanie’s diploma! Stephanie L. Goodwin, priceless BAC workstudy student, is graduating! We’ll sure miss her.